Excited whispers have raised to a roar as restaurateurs Hugh Miller and Greg Campbell confirm rumors that they have finalized a long-term lease agreement with LWR Main Street LLC. The restaurant will be part of Main Street at Lakewood Ranch considered the area's shopping and entertainment hub. Miller and Campbell have been working together for some time now. Their partnership first started in 2006 when Miller brought on Campbell to run operations at PIER 22, which is now a nationally celebrated restaurant best known for its scratch-made dishes, stunning waterside ambiance and award-winning catering. The duo is preparing to roll out an audacious new independent restaurant concept called GROVE. 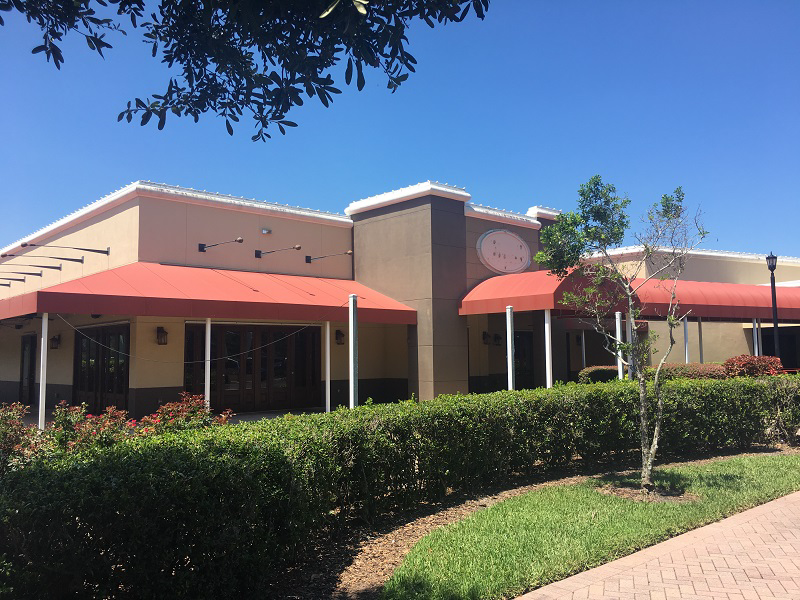 The restaurant will fill a vacancy at 10670 Boardwalk Loop, Lakewood Ranch, FL where the Polo Grill and Bar previously resided. For the business partners, this is their fifth venture in 12 years. President of Lakewood Ranch Commercial Realty, Kirk Boylston said that “We are extremely pleased to have Hugh and Greg take over this significant piece of Main Street. We're all very excited to hear their plans for improving the building and the ballroom. We’re especially happy to know that the ballroom will remain in place to serve as a gathering space for our community's residents and businesses and we greatly look forward to the opening of Grove." Miller stated that "We've been looking to continue to grow and diversify the restaurant and hospitality holdings — searching for just the right spot. I tend to focus my business pursuits on those with high economic and social value in and around the Manatee-Sarasota areas. So far, it's been a successful strategy for growth and a rewarding way to run a business." Concerning dining and entertaining options, Campbell mentioned that "The area offers plenty of room for growth. It's an energetic and lively small-town community, and when the opportunity opened up to begin a new restaurant concept in the area, we knew we were a good fit." The team at GROVE promises to offer wholesome gourmet meals including scratch-made entrees, culinary cocktails and savory desserts. "We're committed to using quality fresh ingredients and innovative cooking methods to inspire, nourish and wholly satisfy our guests," Campbell said. He described his approach to food and drink as "...focused on sourcing only the finest ingredients and then finding inventive ways to draw out those flavors," and he says he's "stoked" about the new restaurant's proximity to “Florida farming country.” Separate menus are in the works for lunch, dinner, happy hour, late night, and Sunday Brunch. "At Grove, we'll be riffing on the idea that dining out should be a means to positive well-being. We want guests to leave the restaurant with a smile on their face and feeling even better than when they first arrived," Campbell said. The property is set to receive a complete gutting and a multi-million dollar renovation. Improvements to the building include a total redo of the restaurant, which will feature comfortable dining spaces. A remodel and upgrade of the 350 seat ballroom along with sections of the lounge, private party and meeting areas and major portions of the outdoor patio areas have also started. Miller said that "With these changes, we're creating an entirely different ambiance. One that embodies an elevated and modern ranch-town vibe and that really fits the diverse market we’ll serve." He revealed that the atmosphere would be "sophisticated yet inviting" and "casually elegant with a modern touch." Tables in the dining room and patio areas alone are expected to seat over 350 guests. Included in that number are the three private dining areas which can be configured to serve 20, 40 or 60 people while a separate count for the ballroom space brings the entire building's seating capacity to 750 guests. In keeping with the formula that Miller and Campbell have perfected at PIER 22, the team behind GROVE is determined to stay away from the trappings of chain restaurant mentality and instead carry on a local, independent business model. Campbell describes the difference between the ideas as demonstrative of "two distinct cultural ideals." He said that "With GROVE being an independent restaurant we don't have to pursue one-size fits all solutions, and we're better equipped to respond to the desires of our community." Campbell mentioned value delivery, menu creation, social responsibility policies along with hiring, training and development practices as examples of business factors more efficiently managed locally by industry independents. "Plus I truly love being involved in the nitty-gritty everyday activities that the corporate players tend to shy away from," Campbell said. A follow-up from Grove spokespeople with more restaurant details is expected soon. GROVE is the highly anticipated new restaurant and events venue from restaurateurs Hugh Miller and Greg Campbell. GROVE specializes in fresh foods and mixed cuisines, culinary cocktails, a craveable late-night menu, and savory desserts. With the belief that dining out should be a means to positive well-being, guests receive personalized service and are guided through a trek of culinary adventure and wholesome gourmet offerings that leave them inspired, nourished and wholly satisfied. The GROVE experience is based on the idea that fine dining doesn't have to be stuffy, that innovation is something to be celebrated and good real-food ought to be enjoyed.